Hello, this is Midori from Moshi Moshi Nippon’s Editorial Department. 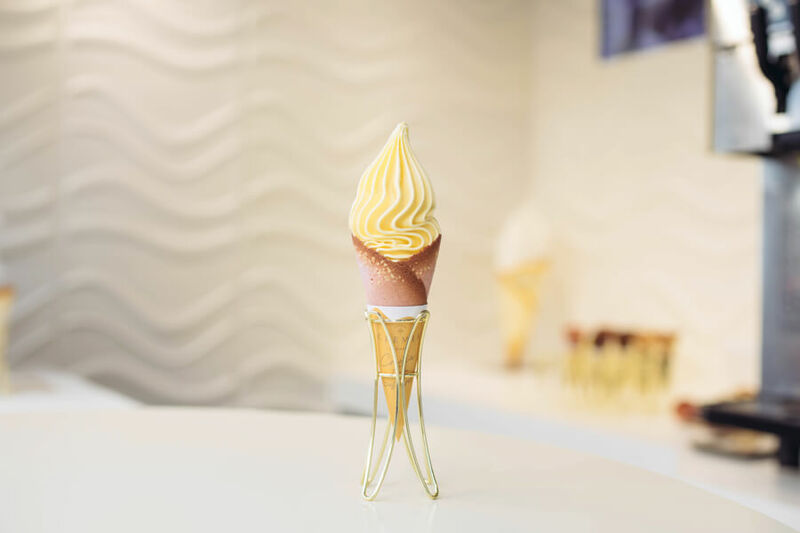 Now we’ve plunged right into spring, the weather is perfect for soft serve ice cream! 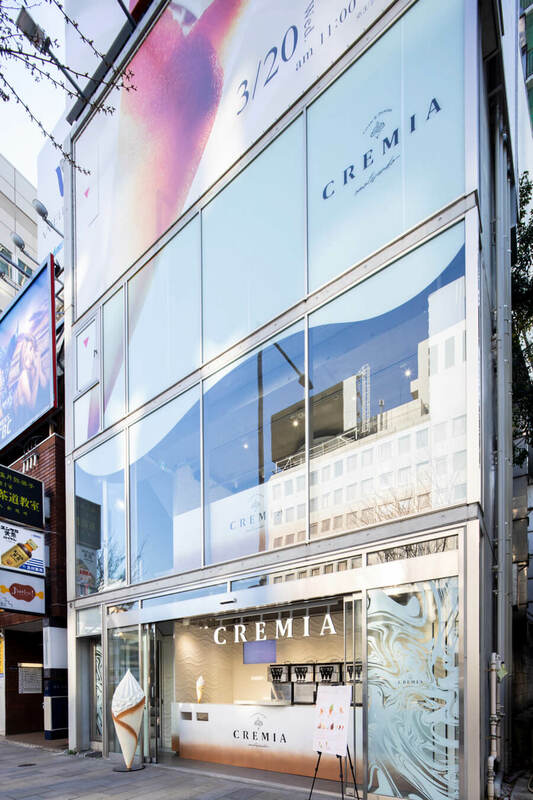 A limited edition pop up shop called “CREMIA” selling ice cream to fit that perky spring feeling has just opened in Omotesando! This may be slightly more expensive than other soft serve ice cream places but it is popular because it is so tasty. Some of you reading this are probably already familiar with CREMIA. 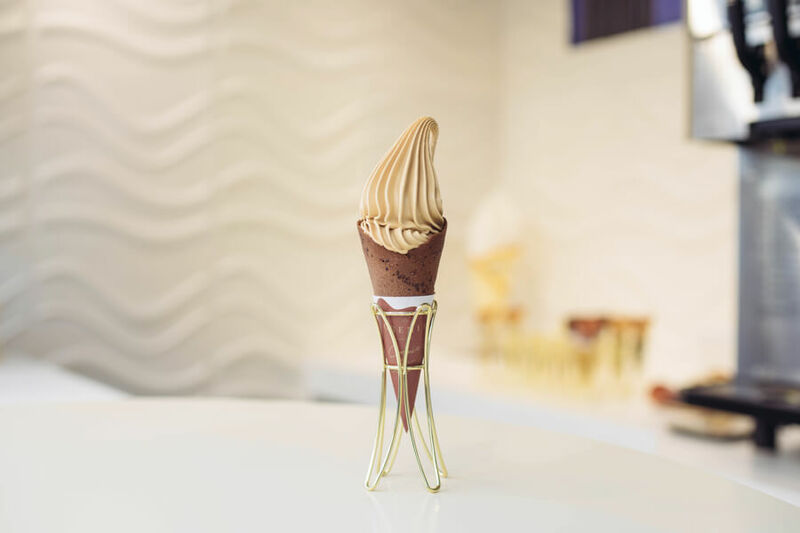 This pop up shop sells an upgraded version of their delicious ice cream which is even more luxurious! 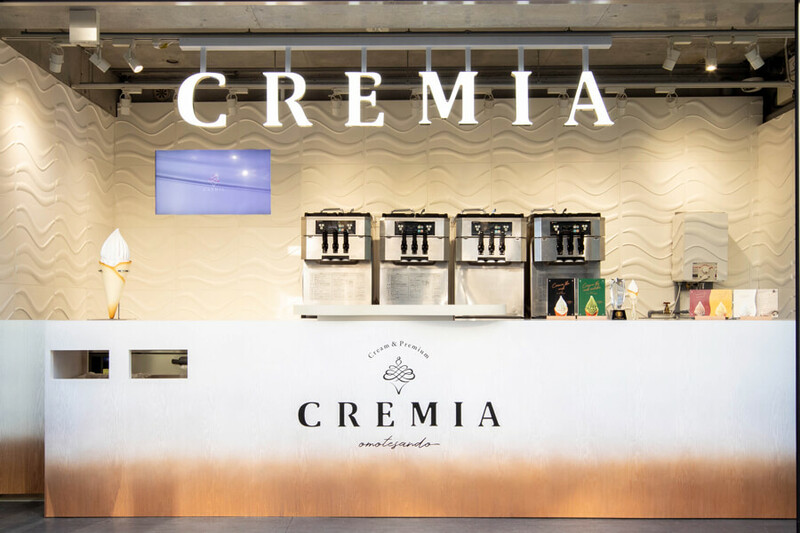 CREMIA is already a rich-flavoured ice cream and I was wondering just how you could possibly make it even tastier so I dashed over there to uncover the mystery! I escaped Harajuku, which is full of people during this season, and headed for Omotesando which is relaxing and peaceful. 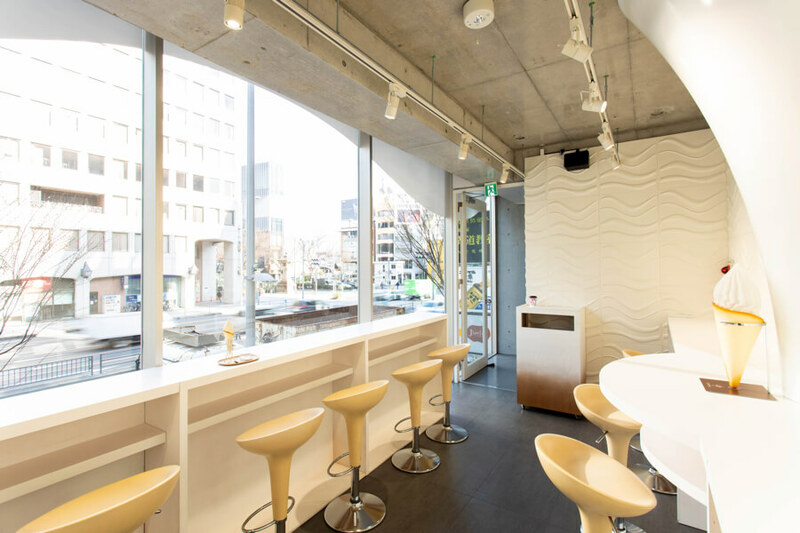 It’s a nice idea to enjoy the nice weather and eat your ice cream while taking a stroll but CREMIA melts particularly fast so I recommend enjoying it on the second floor. This is the legendary ultimate “CREMIA the rich”… and it’s ￥1000! It’s quite expensive for a soft serve ice cream so I was a bit on edge! It was just like the ice cream you can get on a farm! It was very smooth and rich but not sickening and it wasn’t too sweet either. I was sat on the chair enjoying my ice cream and it was perfect. There are also other items on the pop up shop limited edition menu so I tried them for you too! 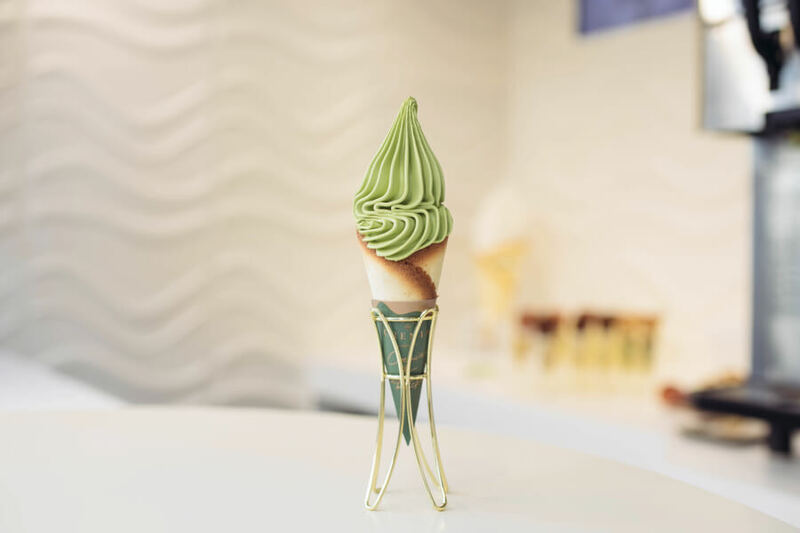 CREMIA the rich Matcha is the most luxurious matcha ice cream! It is popular among adults. This is a rich ice cream but with just one lick the matcha flavour drifts and spreads through your mouth. This is the longest lingering matcha-flavoured ice cream I have ever eaten! CREMIA the Custard is custard flavoured (as implied by the name). If you look closely at the cone, you’ll notice it’s pink ー how cute! This is a raspberry cone. You can only taste the raspberry flavour of this luxury cone just enough to recognise that it’s raspberry -flavoured. This is very appropriate for spring and is goes perfectly with the custard soft cream. CREMIA the Caramel is a caramel soft serve ice cream. It is sweet yet slightly bitter which is a very adult-like flavour. The saltiness of the hidden rock salt makes for a sophisticated flavour. 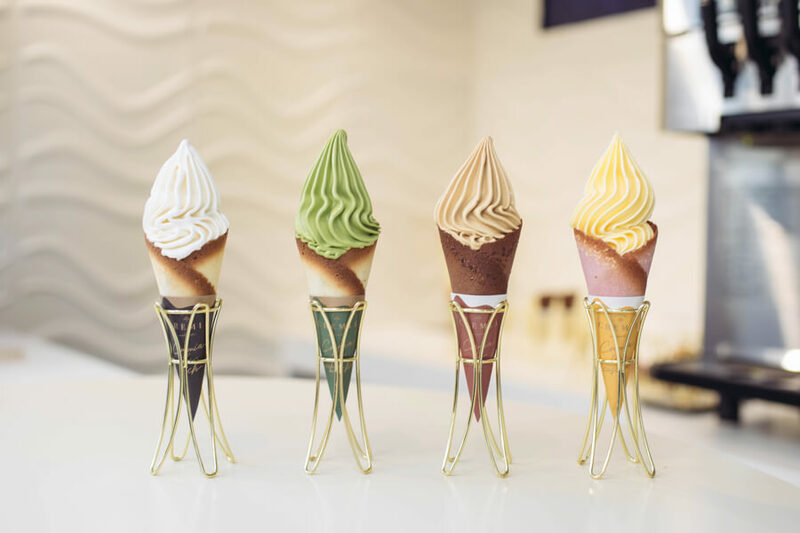 This is a very stylish ice cream! 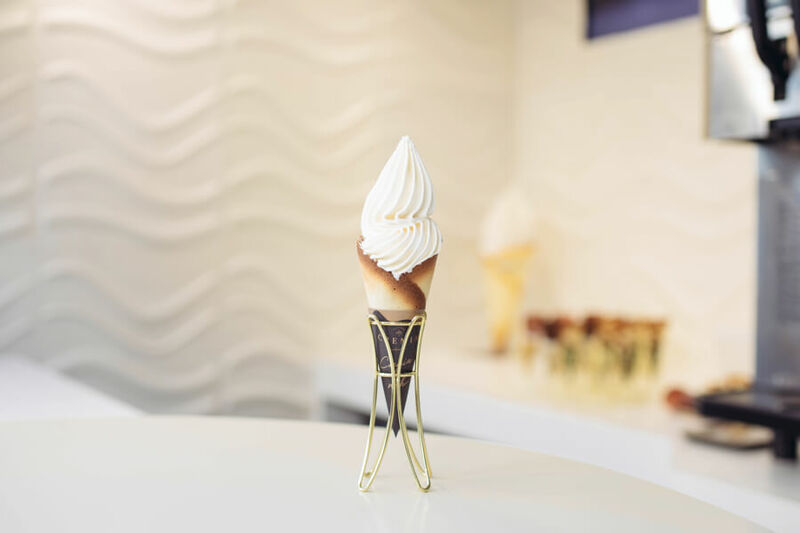 This is the most luxurious CREMIA ice cream and for that reason it may be a bit expensive, but you will definitely be satisfied. This is a great way to reward yourself for accomplishing something, or perhaps you could go for a special date there with somebody? Of course, you can also eat it on an average day….or to add some luxury to your average day ー it’s just the best!